﻿ Tara Bed and Breakfast, Kanchanaburi | FROM $16 - SAVE ON AGODA! Have a question for Tara Bed and Breakfast? "Not much of a view but a great location for both bars and night life and also its proximity to the station and museums"
"Simple rooms, location was good and the pool by the riverside was a fab bonus!" 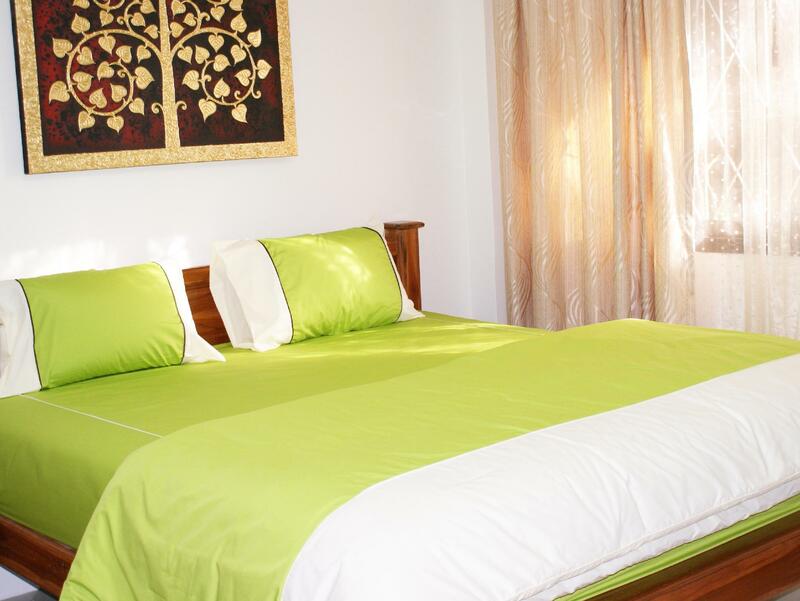 "Very friendly stuff Clean room Good kitchen I will come back"
Situated in River Kwai, Tara Bed and Breakfast is the perfect place to experience Kanchanaburi and its surroundings. From here, guests can enjoy easy access to all that the lively city has to offer. This modern hotel is in the vicinity of popular city attractions such as Apple & Noi's Thai Cooking Course, AS Mixed Travel, Maenamkwai Road. The facilities and services provided by Tara Bed and Breakfast ensure a pleasant stay for guests. A selection of top-class facilities such as free Wi-Fi in all rooms, taxi service, Wi-Fi in public areas, restaurant, tours can be enjoyed at the hotel. Hotel accommodations have been carefully appointed to the highest degree of comfort and convenience. In some of the rooms, guests can find television LCD/plasma screen, internet access – wireless (complimentary), non smoking rooms, air conditioning, desk. Besides, the hotel's host of recreational offerings ensures you have plenty to do during your stay. Enjoy unparalleled services and a truly prestigious address at the Tara Bed and Breakfast. "Room was clean and very big." i stayed in many thai-hotels at thst price-range and what you get herecfor the mobey is incredible. at Tara you can find nice rooms with shared bathroom for a incredible liw price start at 250 Baht and private rooms also. they have western-standard strong and good style furniture, pictures at the wall and the small nuce things you mostly miss in thailands naked rooms. Everything was clean and well maintained and the giant bed a dream! Tje restaurant was also very good and cheap. If i come back i will stay here for sure! Best family hotel in Kanchanaburi. Awesome! ...my second stay at this lovely place... Placed between the city and the famous bridge, close to the restaurants and bars, and yet quiet. Very friendly, helpful and attentive staff. A big room with very practical and beautiful furniture, equipped with tv, in-room safe and wel-functioning wifi... There is a nice restaurant attached, that serves inexpensive, good food. I'll be back!! Friendly staff.good food in the restaurant. Room was clean and very big. Friendly staff and good food in the restaurant. We could arrange a kayak at Travel agency KTC and finish at the hotel. Shower could be more user friendly. We stayed at Tara for 3 nights. it is your typical Thai hotel. With that it was nice and clean. The view and pool are very beautiful and the staff is WONDERFUL. Also the food at the restaurant is good and reasonable price. Yes, we would stay here again. The only issue we had was we ask for a late checkout (was paying extra for), which they agreed to, but at 12:00 they told us we had to leave, that the hotel was sold out. Have visited Kanchanaburi on previous occasion but this was the first time I stayed at Tara. Very friendly helpful staff - good location on the main street not too far from train station, food also very good. Room and facilities spotlessly clean. Would definitely stay at Tara again. I have only two negative comments about this place. Twice I have eaten breakfast there, and twice the order was wrong. They advertise only motorcycle parking. 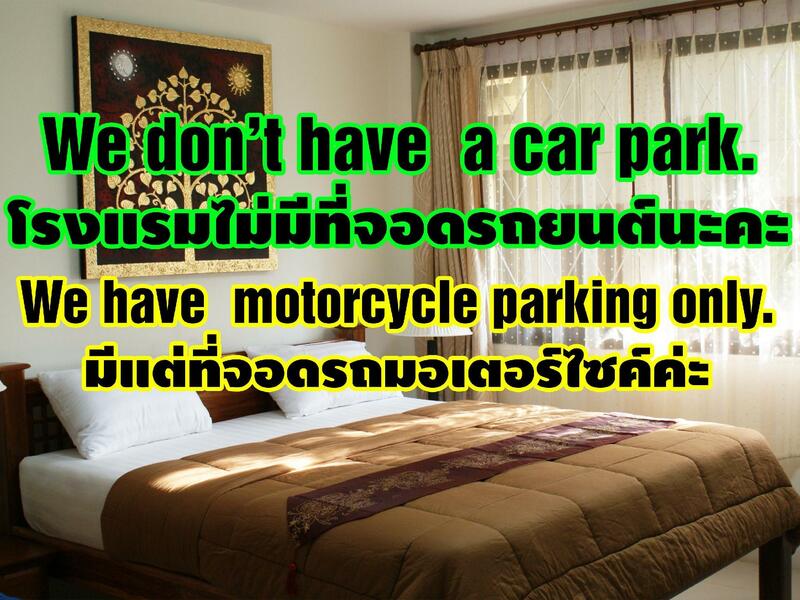 But what they don't tell you is that the parking is on the street, and you have to move the bike daily. The housekeeper here is so friendly and helpful. Felt very much home from home. Great location with many bars and street foods available as well as restaurants. I mainly ate at Tara's. Food is good too. Close to the station which is convenient when you take the train back from Nam Tok as we did (arriving at 17:30 or so). It is located 1.5km to the (in)famous bridge. We walked there the next morning and passed by the war museum where you can still see remains of the wooden bridge. Food and breakfast in Tara cafe was good. Value for money in the touristic town of Kanchanaburi. We stayed 14 nights and enjoyed our stay very much. Staff were friendly, room was cleaned daily (as we requested) and surrounding is quiet. Our room has a balcony and its nice to sit outside when the restaurant kitchen is not in used (the output faces our balcony. There is a small swimming pool which we can use though it belongs to another hotel. Only issue is there is no kettle. We were informed we can go to the restaurant to take hot water. Location: 40 minutes walk to bus station, 25 minutes walk to train station, 25 minutes walk to the war cemetery, 30 minutes walk to the Bridge over River Kuai. There are local transports but we did not bother to take as we rented motorbike. Lots of local eating places (rice with dishes, noodles, grilled meat) and western joints (usual burgers, pizzas etc) along the street of the hotel. We booked one of the ensuite air-con rooms and describing it as a 'bed and breakfast' does not do it justice. This place is a hotel, with clean rooms and comfortable beds. For the price, it offers unbelievable value. The location is on the main tourist road, close to all the action. There is little to no audible noise from the road however. Breakfast was not included, but there is a fully blown restaurant that is very popular in its on own right on the ground floor. You can also book vans and tours. Will be staying here again for sure. Highly recommended! We enjoyed our three night stay in Tara. The facilities were simple but in good condition. The bed was large. We had our breakfast in the restaurant every morning. The food was good with good price. They also provide tour service. We booked a car to Hellfire Pass with a reasonable price. With their advice, we also visit Kaesae wooden bridge, Sai Yok Noi Waterfall and Bridge of River Kwai on the same day. The Night market is near Kanchanaburi Train Station which is 15 minutes walk from Tara. Also, there were convenient stores nearby. Staff were very efficient and pleasant. Room was comfortable and clean. Food was good but there were limited serving hours. Pool was small but nice. It was difficult to get a taxi or Tuk-tuk from this hotel.